Yet the Oxfam briefing released Monday shows that the United States, China, France, Germany, Japan, and the United Kingdom—which together account for more than half of the global economy—have taken in just 8.88 percent of those 65 million. 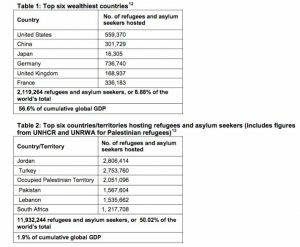 Meanwhile, though they account for less than two percent of the cumulative world GDP, Jordan, Turkey, Pakistan, Lebanon, South Africa, and the Occupied Palestinian Territory host over 50 percent of the world’s refugees, the report finds. 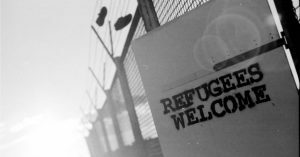 Rich countries must give more help to the developing countries who host the vast majority of refugees and displaced people.